First of all, love the name of this product. MooGoo, like goo from a moo-cow. But enough about that. MooGoo is an Australian company that makes a range of natural products made for people with scalp and skin problems and they're now available in Ireland. I'm interested in skin care like this and was looking forward to learning more. The range came about after the founder adapted a cream used in dairy farms to help cow's udders stay in good condition and made it less greasy so us humans could use it on our udders, I mean, skin. The brand sent me a bunch of products to check out so let's have a look shall we? First up, how cute is the packaging? The little pots are the dinkiest sample pots I've ever seen! The scalp cream is first up. Looking like a regular pot of moisturiser, this cream is used to help get rid of the dreaded scalp psoriasis. Mammy Girlie Bits suffers from this so she has been given this pot and is currently testing it out, so stay tuned for her review. Scalp psoriasis is a nightmare to treat, especially for girls with long hair. Coal tar pomade is prescribed by doctors to treat it but it stinks and is hard to get out of the hair, so I'm looking forward to hearing how the mothership gets on with this. The Fresh Milk Cleansing Bar is exactly that. Those who suffer with skin problems can find using shower gels and soaps really drying on the skin, which causes itchiness, scratching and all round unpleasantness. Containing fresh milk, cocoa butter and olive oil, this bar doesn't disintegrate in the shower and moisturises your skin after washing. MooGoo decided to make an edible lip balm because let's face it, we end up eating it anyway, well I do! The Cow Lick Lip Balm contains beeswax, rich emollient oils and mandarin essential oil to give it a lovely taste. I've been using this and it still has plenty of slip in it so a couple of passes on the lips will sort you out and it does taste lovely! 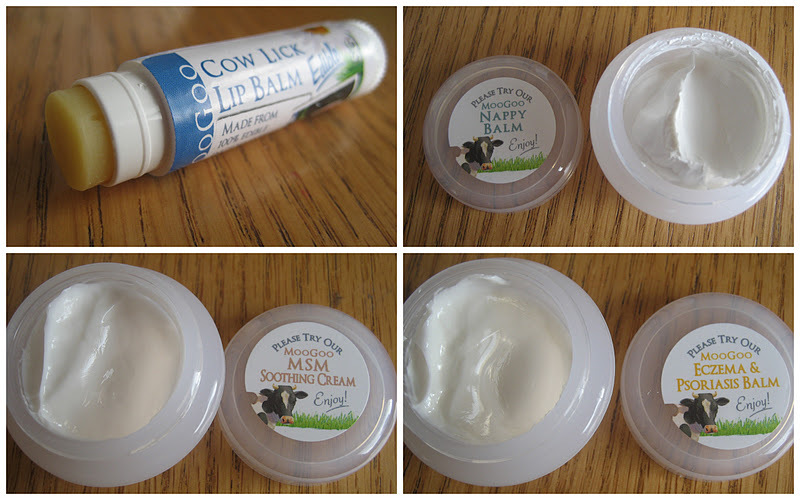 I haven't tested the Nappy Balm myself but will be giving it to a chum who has a wee chiddler to see how she gets on. MooGoo removed any nut oils from this product for peace of mind, even though nut oils used in skincare don't cause allergic reactions. This doesn't have a scent like Sudocreme and contains Vitamin E along with emollient oils. MSM Soothing Cream is up next. MSM is an organic sulphur compound and both soften and soothes the skin. Those with skin problems know that when skin is irritated, it's one of the most uncomfortable things to live with. The skin feels tight, painful and itchy and relief seems impossible. This also contains almond, olive and coconut oils along with emulsifying wax. Those who have sought medical help for their skin problems will most likely have been recommended to use emulsifying ointment at some point which helps keep moisture in the skin. Finally in my little quartet below is the Eczema and Psoriasis Balm. This contains Aloe Vera, Matricaria Recutita (which helps soothe the skin and bring down inflammation) along with a rake of other ingredients like almond and olive oil. More importantly, it's steroid free. Yes, steroids can clear your skin in a jiffy, but it also thins the skin tissue, so it's not recommended for long term use except on the hands and feet. I'm excited to see if this works, more about that at the end. For me, 2011 was the year of the oil based cleansers. I would recommend trying one to see how good they are for your skin. MooGoo has four oil based cleansers for different skin types, containing five different oils, vitamin E and essential oils. They recommend using them one of two ways, either massaging the oil on to your face and rinsing off after a minute, or for deep cleansing, where you apply the oil to your face, apply a warm wash cloth on to your face to steam the pores open and wash off. Seriously, facial oils are the future! Finally is MooGoo's Full Cream. The only time you can have full cream without any guilt! 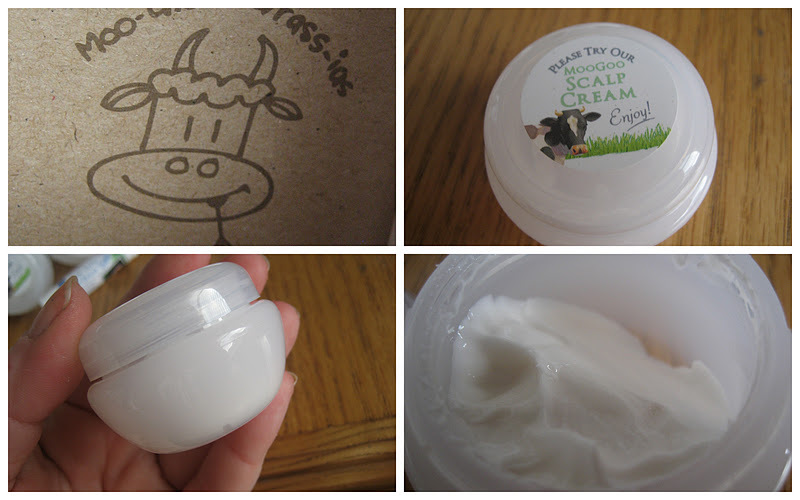 This is a thicker version of the Udder Cream and is suitable for irritated skin. This sounds like the Big Cahuna of MooGoo and I'm excited to hear how it works. Now, because I'm so interested in skin problems, working in a Dermatology Unit at present, I want to test this out properly and have it reviewed. That's where my friend Jacinta comes in. Through the powers of Interweb, we found out that she was receiving treatment in the same unit I work in and met up a couple of times while becoming Twitter buddies! I've asked her if she'd like to try these products out on her skin as she has psoriasis and she has agreed, so you'll be getting a full review from someone who knows what they're talking about! I'm delighted to have her on board and can't wait to hear how she gets on. 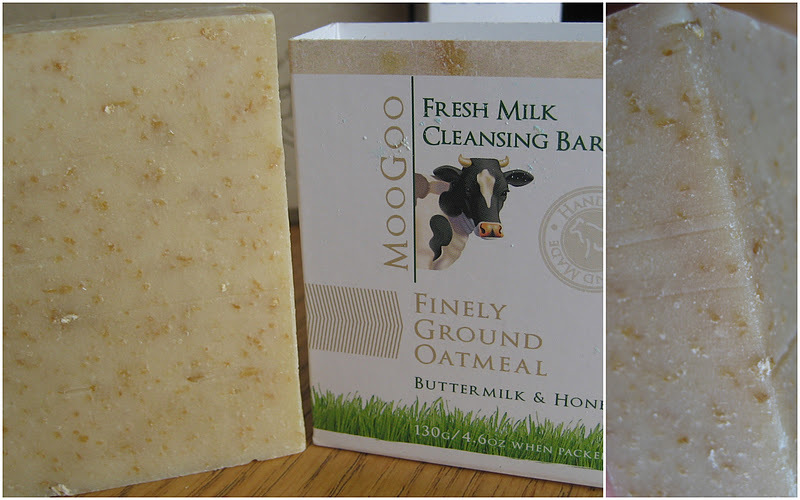 Check out the MooGoo website for more information on the products, ingredients, prices and stockists. 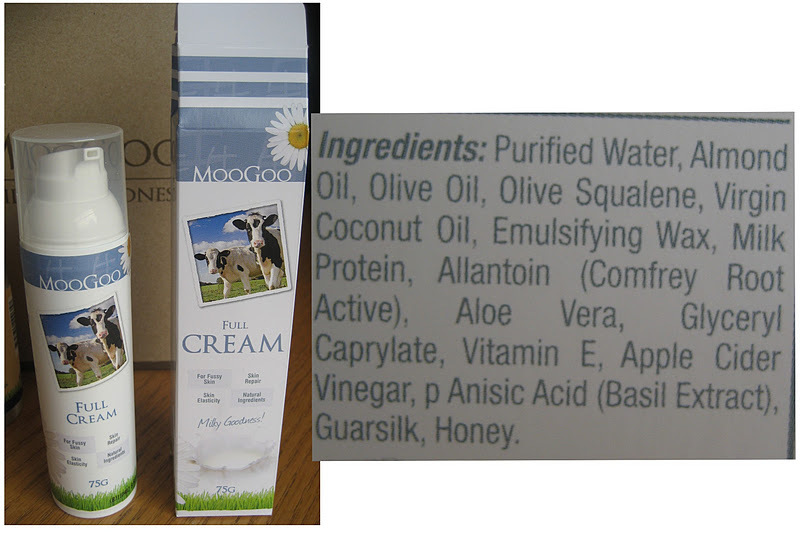 Have you tried any MooGoo products? I'd love to hear if you have! The packaging is gorgeous! I just adore the branding. Odd that companies usually add the vegan tag to products for sales, whereas this bunch seem to be usuing the animal products as a selling point. As long as they're ethical and all that jazz, I'm happy! How Have I not heard of this? DD suffers from eczema and I have tried EVERYTHING. Except this obviously. Looking forward to hearing how you guys get on with this. Keep us updated please! If the packaging is anything to go by I can't wait to try this stuff out! Thanks for giving me the opportunity to give this a test run for you! Love the branding. Will be intrigued to see how ye get on. I saw them at a RDS event and meant to go back for a looksee and it's only now I see the moo cow's mush I remember. Gah. Defo interest in the scalp cream the other half used the cold tar stuff, I hate the smell. Finally tracked down MooGoo in Dublin, and tried the scalp cream - anything is worth a go after three decades of scalp psoriasis and assorted smelly ointments (Cocois was good for the scalp but bad for the social life), steroids (Dovonex was good though there are always the concerns about long usage and boy, did it clog up the drains after a while), gunky shampoos ... used the lot. Opened the scalp cream box to discover udder cream, but I've been using it on my scalp anyway. And so far? Fantastic! There's no smell so I can use it out and about rather than locked behind closed doors, it's not overly greasy so I don't look like I haven't washed my hair in a week, my scalp is softening, has stopped that nasty stretched feeling, and is nowhere near as dry and flakey as it was four days ago. Top marks so far. 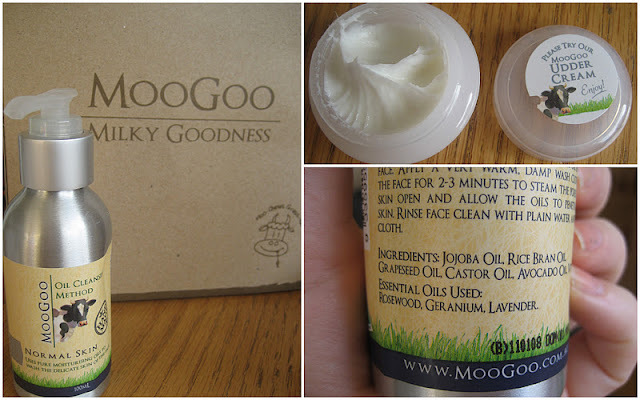 Having suffered most of my life with different sorts of eczema in different parts of my body and having tried hundreds of different creams, I feel I can safely say that Moogoo is THE BEST! Last year my hands and feet were getting a mix of eczema and psoriasis so both were cracked, bleeding, blistered and flaking - not pretty. My 6 yr old daughter had begun to hide her hands because the skin on the backs of them looked 90 yrs old. Then I stumbled upon Moogoo. In a couple of months both of us had clear skin that neither of us had ever expected to see again! Neither of us have had any problems since. As soon as theres an itch or a bit of flaking, on goes the goo and a day or two later the problems gone. I cannot praise this product enough and I don't care if it came in an empty coffee cup or golden snuff box, just as long as I can get hold of the stuff. There was a time when I lost the skin on my hands and feet due to the eczema/psoriasis mix and steroid creams, and it was hell for me, absolute torture. It hurts and itches so bad all the time. With Moogoo, I never have to face that again and my daughter won't have to face it at all!